It was in April this year that this column exclusively reported for the “Daily Mirror” about how Subramaniam Kapilan alias Nanthagopan had been deported on March 6, 2014 to Sri Lanka from Malaysia with the assistance of law enforcement authorities in Iran and Malaysia. The 45-year-old deputy leader of the Liberation Tigers of Tamil Eelam(LTTE) “Nediyavan” faction had been stopped on his way to Europe at the Teheran airport and sent back to Kuala Lumpur. After undergoing brief imprisonment in Malaysia Nanthagopan was deported and handed over to Sri Lankan authorities. He is currently being held at the Terrorism Investigation Division(TID)headquarters in Colombo. At the time of writing about Nanthagopan in the “Daily Mirror” of April 8, 2014 in this column observed thus.-“According to informed sources the Preliminary discussions between Sri Lankan officials and Nanthagopan have proved very successful. Apparently Nanthagopan being very much a captive of circumstances has indicated great willingness to cooperate with Sri Lankan authorities and disclose required information. Sri Lankan defence officials were said to be elated by the capture of Nanthagopan as he is a key LTTE functionary with firsthand knowledge of current overseas LTTE operations. It is expected that Nanthagopan will disclose a lot of valuable information about the overseas LTTE in the days to come. The consequences of such revelations are likely to be felt in the future. It is against this backdrop of Nanthagopan’s seizure creating new avenues of information about overseas LTTE that a significant development occurred in Malaysia in this month of May. Three Sri Lankan Tamils believed to be key members of the LTTE network were arrested in Malaysia on May 15. After being interrogated by Malaysian authorities the trio were deported ten days later on May 25 to Sri Lanka and formally handed over to the Sri Lankan officials. They are being held currently at a special location and being de-briefed. Sri Lankan “intelligence” personnel consider the arrest and deportation of the three as an “accomplishment” as they played a crucial, collaborative role in the entire exercise alongside their Malaysian counterparts in an “unofficial” capacity. It was on the basis of information supplied by Sri Lankan officials that Malaysian officials conducted specific raids and arrested the trio in Selangor state of Malaysia. The three persons recently arrested by the Malaysian police are Sundaralingaraja Kushanthan, Mahadevan Kirubaharan and Selvathurai Kirubananthan. The three allegedly maintained a close relationship with the LTTE international financial network. The three Sri Lankan nationals were arrested on May 15, 2014, following simultaneous raids in Petaling Jaya and Klang by the Malaysian Special Branch›s Counter-Terrorism Division (SB-CTD). The Malaysian newspaper “The Star” quoted the Inspector-General of Police Tan Sri Khalid Abu Bakar, as saying that the suspects were using Malaysia as their base to collect data and disseminate propaganda to revive the group›s activities.»They have obtained UNHCR cards to avoid suspicion. One even had a work permit with a non-existent company. Inspector-General of Police Tan Sri Khalid Abu Bakar said they were believed to have been in the country since 2004 by hiding under the cover of the UNHCR refugee visas. “They were using Malaysia as a base to secure funds, spread their propaganda and were attempting to revive the defunct terrorist group,” he said. The “New Straits Times” of Malaysia reported that the Police had seized LTTE propaganda materials, computers, media equipment and currencies from 24 countries worth RM20,176.53 from them and that the senior ranking member entered the country in 2004 with the other two suspects, LTTE›s Air Tigers (air wing) deputy commander and media division deputy chief. The suspects had also brought their families with them and took up jobs in the country. The source said the suspects played important roles in LTTE in Sri Lanka during the Sri Lankan Civil War (between 1983 and 2009), such as planning suicide bombings. «Initial investigations revealed that the suspects had spread LTTE ideology to former members, who had fled to other countries after the terrorist group was defeated by the Sri Lankan government in 2009,» said the newspaper, adding that the trio had asked former members to collect funds to revive terrorism activities in Sri Lanka. The suspects had distributed propaganda materials through the Internet to LTTE cells in Europe, where many of their members were hiding. Though the interrogation of the three deported from Malaysia is continuing and would take some time to conclude, security authorities are elated by the fact that there is a “prize catch” among the trio. This is none other than 45-year-old Sundaralingarajah Kushanthan who served as the deputy chief of the LTTE airwing known as “Vaanpuligal”(air tigers)against whom an INTERPOL red notice was issued earlier. Sundaralingaraja Kushanthan whose other nom de guerres and nom de plumes are “Darshan”, “Kushanthan Master”,”Chandralingam” and “Mullaichelvam” was born on June 5th 1969 at Meesalai in the Thenmaratchy division of Jaffna peninsula. He reportedly joined the LTTE in 1994. The talents and ability of Kushanthan or Dharshan as he was known then in the LTTE was noticed for his potential by senior LTTE leader Vaithilingam Sornalingam alias “Col” Shankar. Sornalingam alias Shankar was a close associate and trusted confidante of LTTE supremo Veluppillai Prabhakaran. Shankar was born in September 1948. Shankar became a full-time member of the LTTE in 1983. He left Montreal, where he was residing, and arrived in Chennai after the July 1983 pogrom of Sri Lankan Tamils. However, his relationship with the LTTE had begun almost a decade before that. Shankar had pioneered several projects for the movement. He was responsible for setting up the LTTE›s Office of Overseas Purchases (OOP), the department responsible for armament acquisitions abroad which was later run by Kumaran Pathmanathan alias «K.P.» Shankar also helped establish the LTTE›s sophisticated communications network and personally procured the necessary equipment from Singapore. He was also associated with Prabakaran in purchasing the LTTE›s first ship and trawler. Shankar was personally involved in re-furbishing the latter and equipping it with a radar. Shankar was the founder-commander of the LTTE›s marine division, «Kadal Puligal» (Sea Tigers). He pioneered and developed the LTTE›s undersea attack unit (Neeradi Thaakkuthal Pirivu), which consisted of well-trained frogmen. Shankar also established and developed the LTTE›s anti-aircraft unit (Vimaana Ethirppu Pirivu), which downed a large number of planes and helicopters Though the interrogation of the three deported from Malaysia is continuing and would take some time to conclude, security authorities are elated by the fact that there is a “prize catch” among the trioronautical enterprise in Montreal also pioneered the Tiger Airforce(Vaanpuligal). Shankar handpicked Kushanthan to be trained for the fledgeling LTTE air division then in its formative stages. Sundaralingaraja Kushanthan alias Dharshan and Maheswaran Ravindran alias Mendis were sent for training in flying aircraft as well as for courses in aeronautical engineering to Thailand and later Canada. Kushanthan returned to Sri Lanka in 1998 with a pilots license and certificates in assembling aircraft and aircraft maintenance. Kushanthan was inducted into the LTTE Airwing as an instructor and referred to as Kushanthan master. 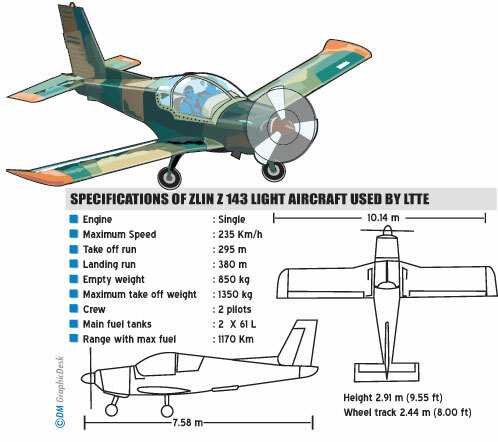 The LTTE procured aircraft components and assembled them at Kaeppaapulavu in Mullaitheevu district. The tigers also constructed a heavily camouflaged runway and hangar at Iranaimadhu in Kilinochchi district.Kushanthan played an important role in both training potential tiger pilots and assembling light aircraft. Kushanthan was stationed at Iranaimadhu and was placed in charge of the airwing installations there. Although he did not engage in any “Vaanpuli” attacks directly Kushanthan was involved in planning, coordinationg and monitoring the air tiger operations in Colombo, Katunayake, Kolonnawa, Kerawalapitiya and Anuradhapura. He was appointed by Prabhakaran as deputy chief of the LTTE Airwing in 2007. The LTTE airwing chief is Sivarasa Pirunthaavan alias Achchudan against whom an INTERPOL red notice has been issued. Achchudan born on January 17, 1972 obtained training in France and holds a French passport. It is believed that Achchudan is now residing in a middle eastern country with his wife and two children. “Col” Shankar the “patron” of Kushanthan in the LTTE was killed on September 27, 2001 in a land mine attack perpetrated by the Long Range Reconnaissance Patrol(LRRP) or deep penetration of the army. The soldiers had infiltrated deep into LTTE controlled territory and targeted Shankar while he was returning along the Puthukkudiyiruppu –Oddusuddaan road after a meeting with Prabhakaran at Kaeppaapulavu. Kushanthan however continued to maintain links with Shankar’s family particularly the attractive daughter Rohini who was not the biological daughter of Sornalingam alias Shankar whose wife known Kuha had been earlier married to Shankar’s younger brother Manoharan alias Haran. Rohini was their daughter. “Capt” Haran also known as Karan was like his brother Shankar an LTTE member. He was in charge of maintaining the LTTE’s first big boat “Kadal Puraa”(Sea dove). He was in the boat along with senior LTTE Leaders Kumarappa and Pulenthiran when it was apprehended by the Sri Lankan Navy off the Point Pedro coast, some weeks after the signing of the Indo-Lanka accord. As is well known all sixteen tigers consumed cyanide when attempts were made to transport them by air from Palaly to Colombo. Twelve tigers including Kumarappa, Pulenthiran and Haran died and were declared as “martyrs” by the LTTE hierarchy. It was this incident which resulted in the LTTE returning to war and confronting the Indian army. Apart from Shankar and Haran two other siblings also joined the LTTE. One brother Vaseekaran alias «Lieutenant Siddharth», was killed in an explosion in Kaithadi in February 1987. Shankar›s youngest brother was reported missing in a skirmish with the Army in Mannar in the 1980s. Nothing is known about him since. Another brother, an engineering student, was killed by a Sri Lankan Air Force bomb. Only the eldest brother, a medical doctor in the United Kingdom, is alive now. Sornalingam alias Shankar later married his brother’s widow and adopted the daughter as his own. Rohini herself joined the LTTE and worked in the Radha Intelligence Corps under Ratnam Master. Kushanthan moved closely with Shankar’s family and eventually fell in love with Rohini. The mother known as “Kuha akka” (elder sister) to LTTE cadres was amenable. Kushanthan and Rohini married with the approval of LTTE supremo Prabhakaran. Both he and wife Madhivathani were the guests of honour at the wedding and were seated at the head table with the newly wed couple. Kushanthan relocated to Malaysia in 2004 where he completed a course and obtained a certificate in electronics engineering. After working for awhile in Malaysia he returned to Sri Lanka in 2007. This was to help activate the hitherto dormant Air wing of the LTTE. He managed to escape to India with his wife a few months before the LTTE suffered military defeat in May 2009. He went from India to Britain where he left his wife with her aunt and went to Malaysia. Kushanthan thereafter engaged in attempts to consolidate the overseas structures of the LTTE and re-launch the armed struggle. Meanwhile Kushanthan’s mother-in-law the highly respected “Kuha Akka” refused to leave the embattled Wanni and remained there. Being a close friend of Mathivathany Prabhakaran, Kuha had promised her that she would remain at the side of Prabhakaran’s son Charles Anthony till the very end. ”Kuha Akka” along with Charles Anthony were reported dead after the fighting concluded. A younger sister of Kuha is living in Britain and is married to an LTTE activist Ajith Selvarajah known as “Paambu(snake) Ajith and also as Vajira. Ajith accompanied former LTTE Jaffna commander Sathasivampillai Krishnakumar alias Kittu to UK in 1989. Thereafter Ajith remained in Britain. Kushanthan and Rohini stayed with them in London when the couple arrived in the UK after the end of the war. Ajith Selvarajah born on June 1st 1961 is among the 422 individuals whom the Sri Lankan Govt listed by gazette recently. The other two arrested along with Kushanthan are Mahadevan Kirubaharan and Selvathurai Kirubananthan. 42-year-old Mahadevan Kirubaharan is a sound engineer who first joined an LTTE musical troupe in 1996.Thereafter he worked for the LTTE TV station “Nitharsanam”. He also married an LTTE cadre Manimozhi who was a teacher at an LTTE run orphanage. Kirubaharan travelled to Europe via Norway during the Oslo facilitated ceasefire. He reportedly involved himself in LTTE media organizations like “Voice of Tigers” and “Tamil Television Network” during his European stint. He went to Malaysia in 2006 and after the 2009 military debacle has been trying to help enhance LTTE activity abroad. 38-year-old Selvathurai Kirubananthan joined the LTTE in 1998 and was known as Anbarasan. He served in the LTTE intelligence division under Pottu Ammaan and was mainly involved in gathering intelligence necessary to plan attacks. In 2006 Kirubananthan alias Anbarasan was sent to Malaysia by Pottu Ammaan to assist in coordinating overseas intelligence matters. He reportedly formed a network of LTTE supporters among Malaysian Tamils hailing from both Sri Lanka and India. He set up a clandestine fund raising outfit to collect money from Tamil businessmen regularly. Anbarasan also distributed LTTE publications and audio/video cassettes in Malaysia. Among other things, Anbarasan reportedly formed an artiste group to conduct pro-tiger stage shows and also organised tiger functions like the great heroes day in Penang . Meanwhile the arrests and deportations have evoked a storm of protests in certain quarters. Deputy chief minister of Malaysia’s Penang state Prof. Palanisamy Ramasamy challenged Inspector-General of Police Tan Sri Khalid Abu Bakar to show proof that the three Sri Lankan nationals arrested recently were Liberation Tigers of Tamil Eelam (LTTE) militants. He said the LTTE had long been disbanded and the arrested Sri Lankan nationals held cards issued by the Office of the United Nations High Commissioner for Refugees (UNHCR) to stay in this country without action being taken against them by the authorities. «I challenge the Inspector-General of Police to show proof and I am prepared to debate with him. Do not just detain Tamil refugees who are in need of shelter,» he told a news conference in Malaysia. The UN›s refugee agency, the UNHCR, also expressed concern. It had earlier asked the Malaysian government to delay the deportation of the arrested men. «We are deeply concerned that these deportations took place without our office being given an adequate opportunity to assess the security issues and the refugees› entitlement to ongoing refugee protection», the agency said in a statement. The Human rights watchdog “Human Rights Watch” said in a statement that Sri Lankan authorities should ensure the safety of two refugees and an asylum seeker whom Malaysia forcibly returned to Sri Lanka in violation of international law. All three were under the protection of the United Nations refugee agency, UNHCR, which recognised two as refugees and was in the process of determining the claim of the third for refugee status it said. “Sri Lanka’s treatment of these three men who have been forcibly returned by Malaysia is now in the international spotlight,” said Phil Robertson, deputy Asia director of Human Rights Watch. Sri Lanka however has said there was no cause for alarm. Sri Lankan police spokesman Ajith Rohana SSP denied that the men were in danger, saying they were «protected» . He also said that their next-of-kin were being given access to the three deported persons now being detained. Even though the UNHCR has expressed concern over the incident the arrests have opened a can of worms regarding the issue of the UN agency being abused or misused. Two of the arrested persons including Kushanthan being accredited by the UNHCR as “refugees” has raised the pertinent question of whether “alleged LTTE members” are operating in South East Asia under cover of being UN refugees. It is said that around 4000 Sri Lankan Tamils are living as “refugees” in Malaysia. The arrests of the three have placed these people in an unenviable vulnerable position. The arrests and deportation is also indicative of the close cooperation between Malaysia and Sri Lanka over the task of combating the LTTE. There have been other similar incidents in the past. In August 2009 Malaysian officials captured Selvarasah Pathmanathan alias KP who was for a brief period the leader of the LTTE after tiger supremo Velupillai Prabhakaran’s demise. He was brought to Sri Lanka. Instead of penalising him the Sri Lankan officials have let KP redeem himself by doing social service to the community. KP is now running three orphanages with over 250 children in Muthiyankaddu, Mulliyavalai and Kilinocchchi named “Anbu Illam” ”Bharathy Illam” and “Senchoalai” respectively. Another lesser known example is that of Subramaniyam Sivakumar alias Malaysia Rajan who was in charge of the LTTE in Malaysia. 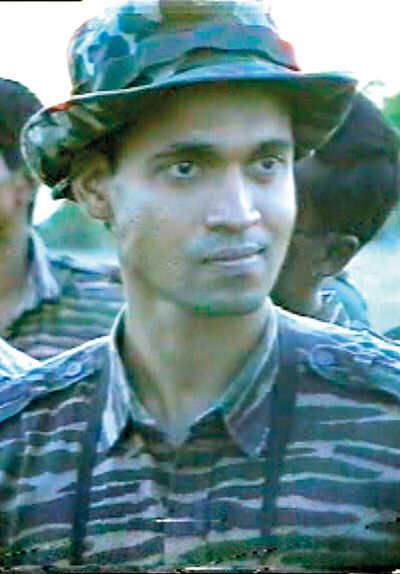 Earlier he was functioning as an LTTE intelligence operative in Colombo under the names of Kannan and Santhalingam. Malaysia Rajan had also been involved in arms purchasing abroad. He was arrested in January 2010 in Malaysia and brought to Colombo. Today he is a relatively free man leading a peaceful life in suburban Colombo. In March this year Subramaniam Kapilan alias Nanthagopan was deported from Malaysia to Sri Lanka. Nanthagopan the deputy leader of the LTTE faction headed by Perinpanayagam Sivaparan alias “Nediyavan” is being held at the TID headquarters in Colombo. Nanthagopan is reportedly cooperating closely with Sri Lankan officials. In the wake of these earlier instances comes the present one where three tiger activists including the Air-tiger deputy chief have been arrested and deported to Sri Lanka from Malaysia. As stated earlier the Sri Lankan officials are elated by the capture of Kushanthan and are currently focusing on him intensively. The other two are regarded as lesser in importance in comparison to him. Whatever the international outcry about the incident, Sri Lankan defence circles are quite satisfied about the LTTE connections of the three detenues and will be continuing with inquiries regardless of external pressure. 38-year-old Selvathurai Kirubananthan joined the LTTE in 1998 and was known as Anbarasan. He served in the LTTE intelligence division under Pottu Ammaan and was mainly involved in gathering the intelligence necessary to plan attacks. In 2006 Kirubananthan alias Anbarasan was sent to Malaysia by Pottu Ammaan to assist in coordinating overseas intelligence matters. He reportedly formed a network of LTTE supporters among Malaysian Tamils hailing from both Sri Lanka and India. He set up a clandestine fund raising outfit to collect money from Tamil businessmen regularly. Anbarasan also distributed LTTE publications and audio/video cassettes in Malaysia. Among other things, Anbarasan reportedly formed an artiste group to conduct pro-tiger stage shows and also organised tiger functions like the great heroes day in Penang . Meanwhile the arrests and deportations have evoked a storm of protests in certain quarters. Deputy chief minister of Malaysia’s Penang state Prof. Palanisamy Ramasamy challenged Inspector-General of Police Tan Sri Khalid Abu Bakar to show proof that the three Sri Lankan nationals arrested recently were Liberation Tigers of Tamil Eelam (LTTE) militants. He said the LTTE had long been disbanded and the arrested Sri Lankan nationals held cards issued by the Office of the United Nations High Commissioner for Refugees (UNHCR) to stay in this country without action being taken against them by the authorities. «I challenge the Inspector-General of Police to show proof and I am prepared to debate with him. Do not just detain Tamil refugees who are in need of shelter,» he told a news conference in Malaysia. The UN›s refugee agency, the UNHCR, also expressed concern. It had earlier asked the Malaysian government to delay the deportation of the arrested men. «We are deeply concerned that these deportations took place without our office being given an adequate opportunity to assess the security issues and the refugees› entitlement to ongoing refugee protection», the agency said in a statement. Sri Lanka however has said there was no cause for alarm. Sri Lankan police spokesman Ajith Rohana SSP denied that the men were in danger, saying they were «protected» . He also said that their next-of-kin were being given access to the three deported persons now being detained. Even though the UNHCR has expressed concern over the incident the arrests have opened a can of worms regarding the issue of the UN agency being abused or misused. Two of the arrested persons including Kushanthan being accredited by the UNHCR as “refugees” has raised the pertinent question of whether “alleged LTTE members” are operating in South East Asia under cover of being UN refugees. It is said that around 4000 Sri Lankan Tamils are living as “refugees” in Malaysia. The arrests of the three have placed these people in an unenviable vulnerable position. The arrests and deportation is also indicative of the close cooperation between Malaysia and Sri Lanka over the task of combating the LTTE. There have been other similar incidents in the past. In August 2009 Malaysian officials captured Selvarasah Pathmanathan alias KP who was for a brief period the leader of the LTTE after tiger supremo Velupillai Prabhakaran’s demise. He was brought to Sri Lanka. Instead of penalising him the Sri Lankan officials have let KP redeem himself by doing social service to the community. KP is now running three orphanages with over 250 children in Muthiyankaddu, Mulliyavalai and Kilinocchchi named “Anbu Illam” ”Bharathy Illam” and “Senchoalai” respectively. Another lesser known example is that of Subramaniyam Sivakumar alias Malaysia Rajan who was in charge of the LTTE in Malaysia. Earlier he was functioning as an LTTE intelligence operative in Colombo under the names of Kannan and Santhalingam. Malaysia Rajan had also been involved in arms purchasing abroad. He was arrested in January 2010 in Malaysia and brought to Colombo. Today he is a relatively free man leading a peaceful life in suburban Colombo. In March this year Subramaniam Kapilan alias Nanthagopan was deported from Malaysia to Sri Lanka. Nanthagopan the deputy leader of the LTTE faction headed by Perinpanayagam Sivaparan alias “Nediyavan” is being held at the TID headquarters in Colombo. Nanthagopan is reportedly cooperating closely with Sri Lankan officials. In the wake of these earlier instances comes the present one where three tiger activists including the Air-tiger deputy chief have been arrested and deported to Sri Lanka from Malaysia. As stated earlier the Sri Lankan officials are elated by the capture of Kushanthan and are currently focusing on him intensively. The other two are regarded as lesser in importance in comparison to him. Whatever the international outcry about the incident, Sri Lankan defence circles are quite satisfied about the LTTE connections of the three detenues and will be continuing with inquiries regardless of external pressure.